There are so many details that go into the design, building, and decorating of a kitchen that looks and feels like it fits in a luxury home. Almost immediately, when you walk into a gorgeous kitchen, you notice the countertops. Even for those who don't use the kitchen for cooking, the counter gets a lot of use. It is the hub for homework, eating, hanging out with friends, and resting that important morning cup of coffee. Hugo Araujo, from Luxury Homes of Chicago, took a look at some of the more popular choices for kitchens and gave his thoughts. There are more than 15 different types, but this week we took a look at the five most popular. Granite countertops are some of the most elegant, richest kitchen countertops available. They are among the most expensive, too. Granite is a natural stone with outstanding strength. It’s a natural stone, so every individual slab of the hundreds of named colors is unique in its hue, patterning and shading, guaranteeing frustration to the uninitiated. Be aware. Not all granite slabs are actually granite. For countertops, "granite" is an umbrella term that includes several dense stones that are acid resistant, and rank 7 or 8 on the Mohs Scale of Mineral Hardness. Quartz countertops are also known as Engineered Stone countertops to differentiate them from natural stone countertops. Most are made from a high concentration (93%) of quartz crystals, a natural substance. It's good to know beforehand that you will pay a lot for quartz. Also note that it’s not as heat-resistant as less-pricey materials like granite and crushed glass. Seams can be noticeable, especially if you use lighter colors, and it can discolor over time in direct sunlight. Also, be aware of the type of feel you are looking for in your kitchen. Quartz can look ultra-contemporary and cold, so it may not be the best choice for a traditional-style kitchen. "Even with some cons, this is the best material for the ultimate modern look!" comments Araujo. Laminate countertops remain a very popular option for many kitchens and bathrooms because they are affordable and come in the widest possible range of colors and patterns. Over the past several years there have been big improvements. It's not your grandma's countertop! Advancements in printing technology and edge options allow laminate to mimic stone, metal, or wood countertops without the cost of natural materials. Unfortunately, the surveys that are out there say that people looking to buy a home do not want laminate. Araujo says, "We think they might be proven wrong judging by the new displays we have been seeing in many showrooms." Concrete countertops are one of the newest types of kitchen and bathroom countertops offered. New innovations in the way concrete is formulated means that modern concrete countertops are relatively light. Concrete is an extremely durable and surprisingly versatile material that can be tinted and sculpted for maximum design possibilities. Concrete countertops complement other natural materials such as wood and stone. Just keep in mind a few items when considering a concrete countertop: 1) It must be sealed and regularly maintained to resist stains and water 2) It is susceptible to damage from highly acidic liquids 3) In some cases, it can be extremely heavy and require extra care. "As with any countertop material, understand what the pros and cons are and be prepared," Araujo comments. Marble is a beautiful addition for a kitchen or bathroom countertop and are certainly one of the most elegant materials you can choose for any home. Carrara marble in particular, is the least expensive and often the most heavily gray-veined marble. The price is often right, yet still gives that upscale look with a nod to classic beauty. People say, "it just glows in the kitchen." Warning: the first few etches and scratches might be traumatic! "Countertops set the tone for the kitchen and are one of the most important elements in kitchen design. Especially in a luxury home. 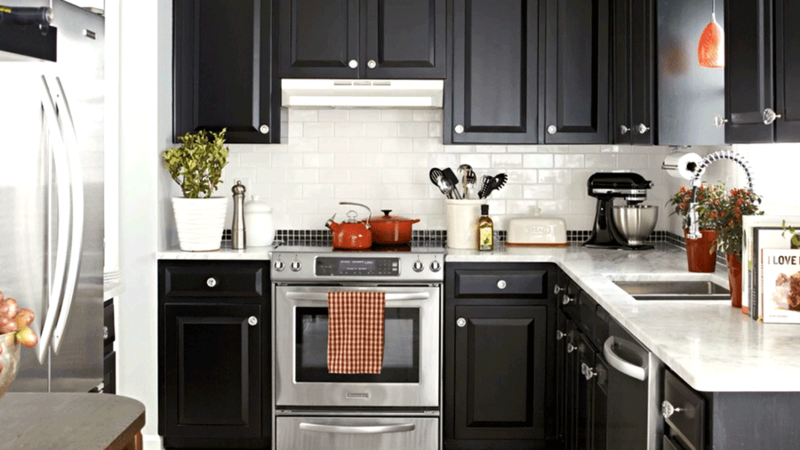 Be sure to select materials reflect your style and enhance how you use the kitchen," says Araujo.